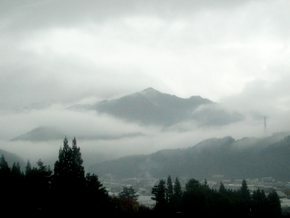 From Kyoto we continued by train our trip to Japanese Alps (photo) and beautiful city of Takayama (photo). 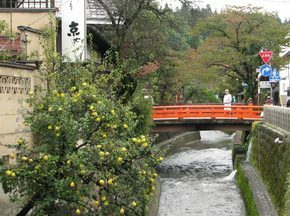 We walked the attractive streets by the Miyagawa River (photo) and visited The Takayama Jinya (photo), which served as the government office and is now restored to its original Edo Period state (photo). 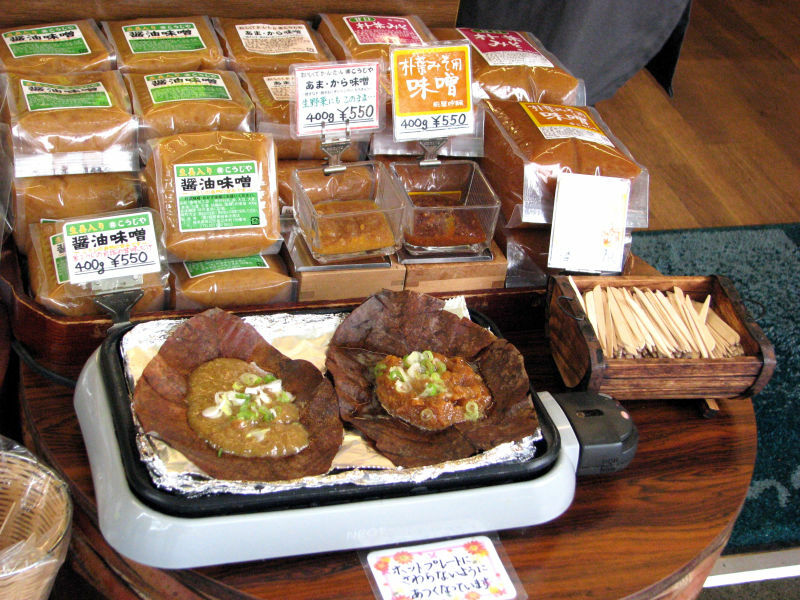 Next morning we headed to the street market (photo), where all kind of fresh (photo) and prepared food (photo) is sold, as well as beverages and handicrafts (photo). Old town (photo) was next and then we headed to Yatai Kaikan (photo), where unbelievable festival floats were presented (photo), located next to Sakurayama Hachiman Shrine (photo) with the odd looking bonsai tree outdoors collection (photo). 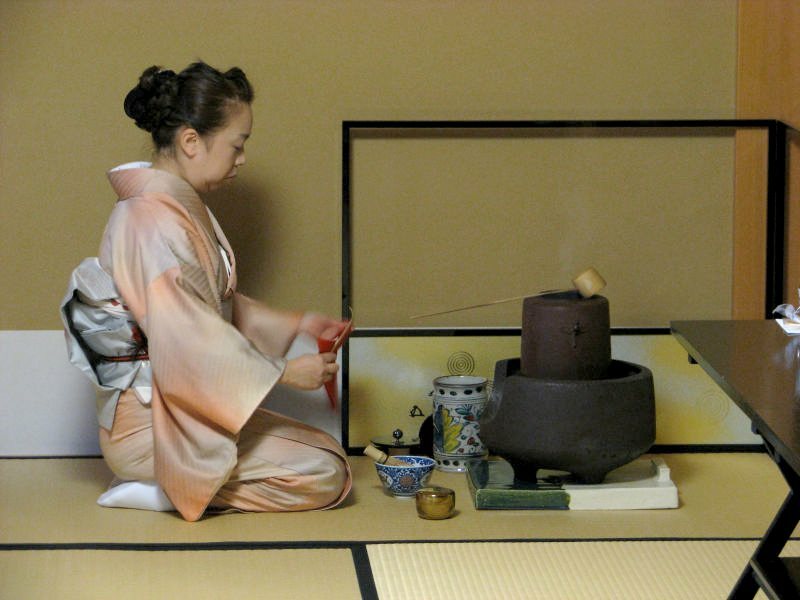 Then we traveled by bus to the mountains to have short tea ceremony (photo) and visited the traditional Japanese village Shirakawa-go (UNESCO world heritage site). 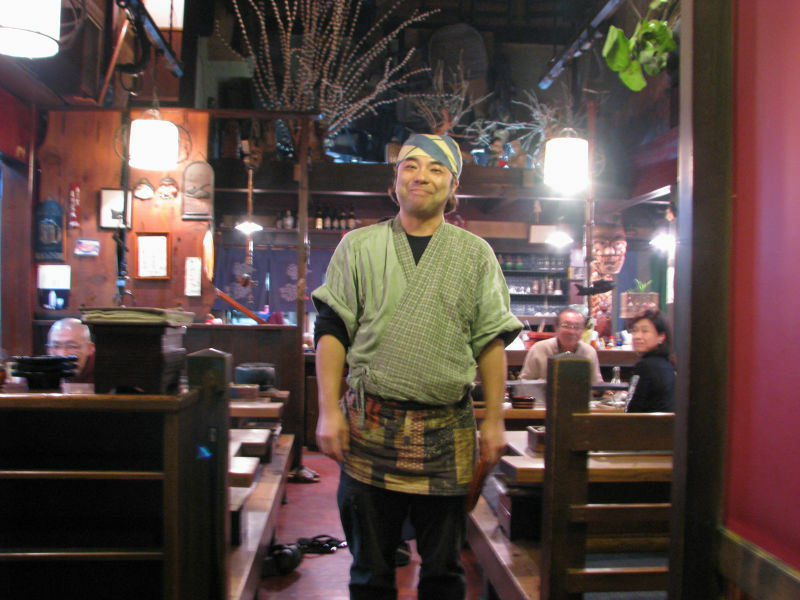 In the evening we came back to wonder one of Takayama's Sake Brewery (photo) and the skillful craftsmanship of wood and lacquer work (photo) and had nice a dinner in the restaurat (photo) some grilling the famous Kobe beef (photo). 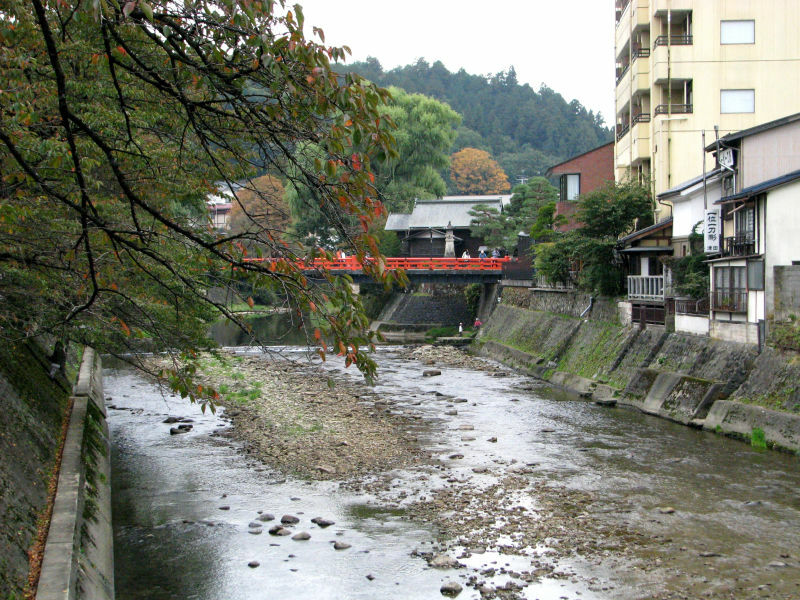 Takayama is a city located in Gifu and has an estimated population of 92,369. 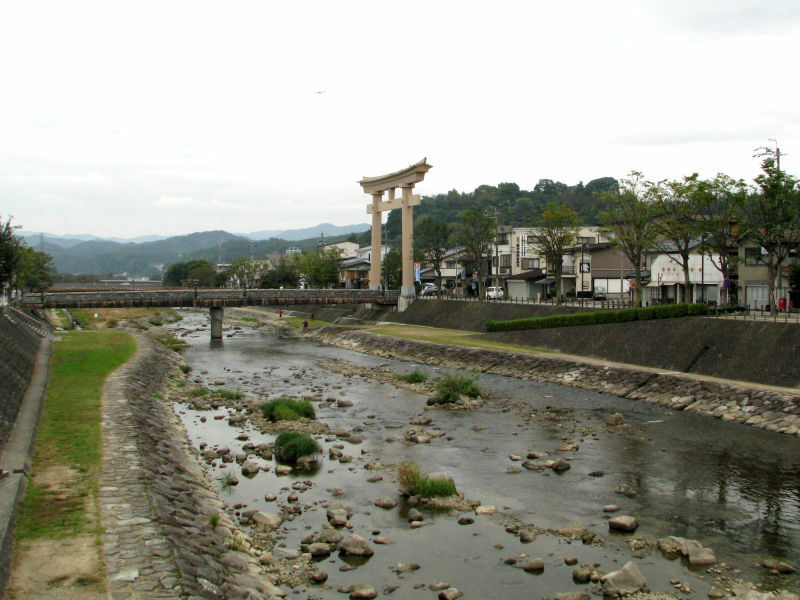 Takayama was settled as far back as the Jōmon period (14,000 BC to about 300 BC). 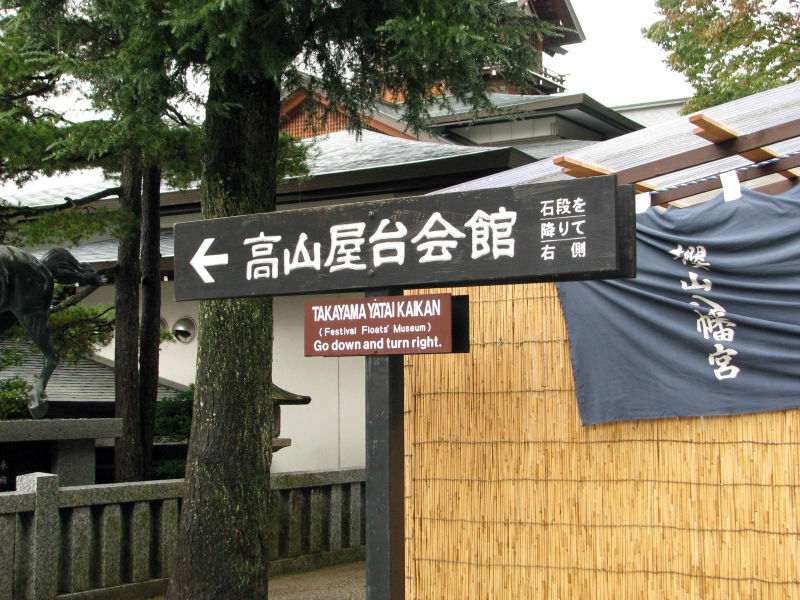 Takayama is best known for its inhabitants' expertise in carpentry. It is believed carpenters from Takayama worked on the Imperial Palace in Kyoto and on many of the temples in Kyoto and Nara. The town and its culture, as they exist today, took shape at the end of the 16th century, when the Kanamori clan built Takayama Castle. 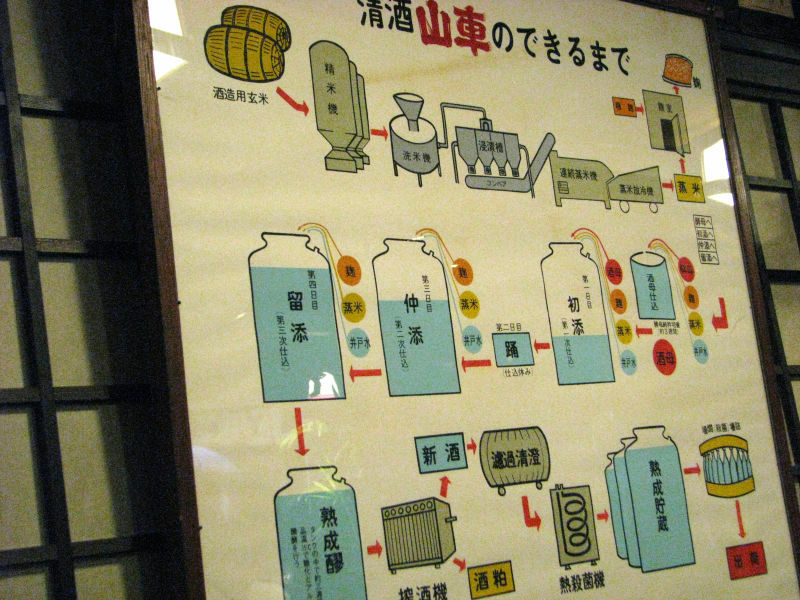 About a hundred years later the city came under the rule of the Tokugawa shogunate. 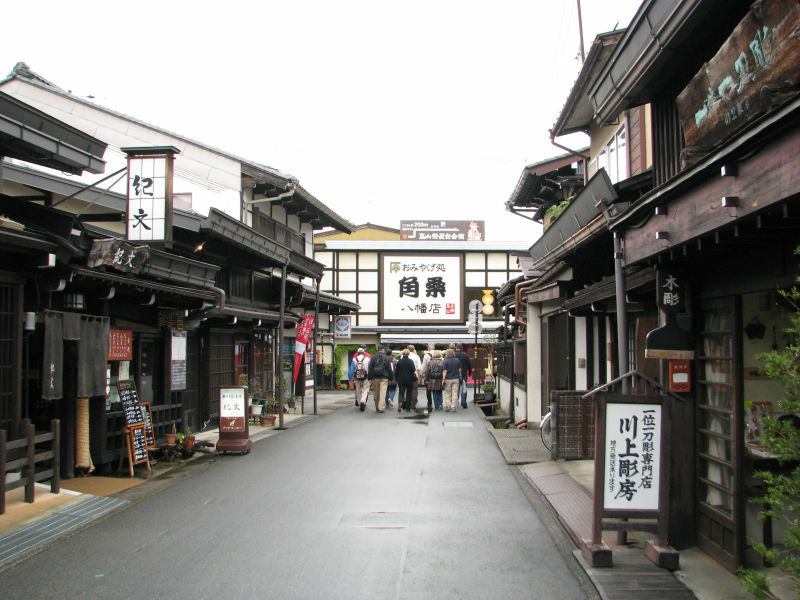 However, the high altitude and separation from other areas of Japan kept the area fairly isolated, allowing Takayama to develop its own culture over about a 300-year period. The city was newly formed in 2005, when nine towns and villages: from Ōno District (the town of Kuguno, and the villages of Asahi, Kiyomi, Miya, Nyūkawa, Shōkawa and Takane), and Yoshiki District (the town of Kokufu, and the village of Kamitakara) were merged in a major expansion of the city, which made Takayama the largest city in Japan by surface area. 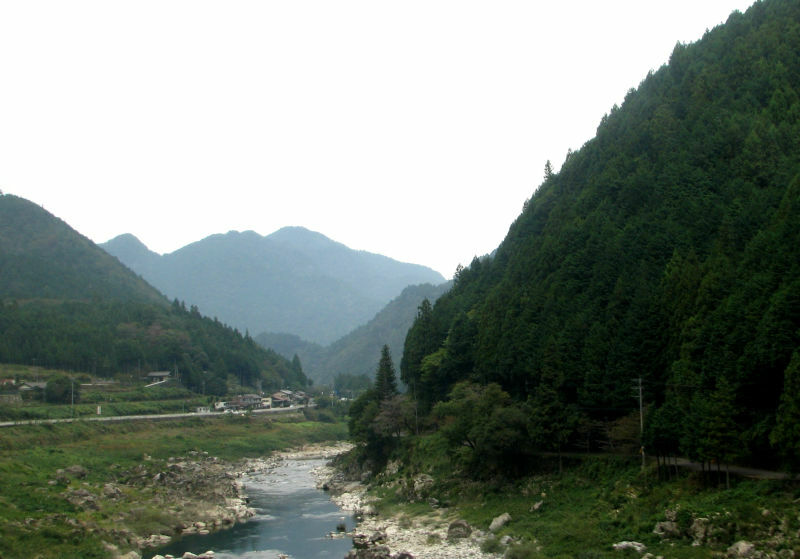 Located in the heart of the Japanese Alps, Takayama falls under a humid continental climate with some characteristics of humid subtropical climate. 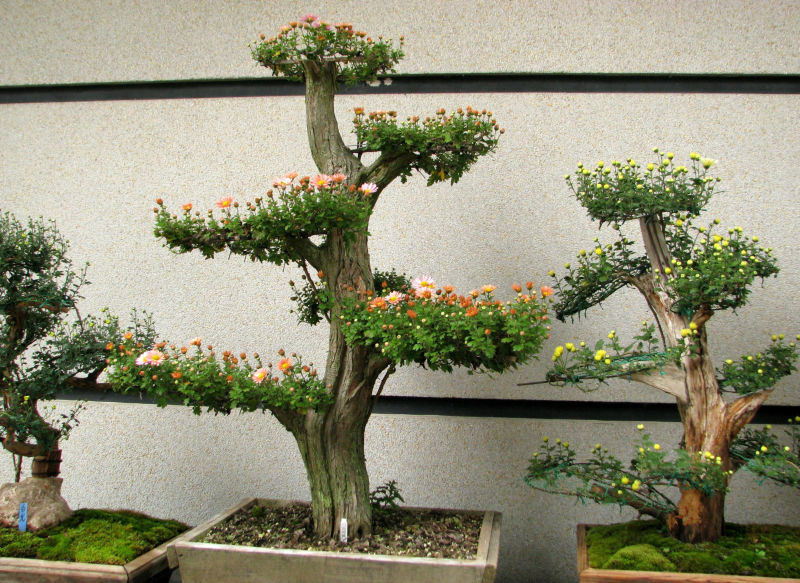 It features four distinct seasons with a wide range of temperature between the summer and winter, somewhat resembling parts of Northern Japan and Hokkaidō. 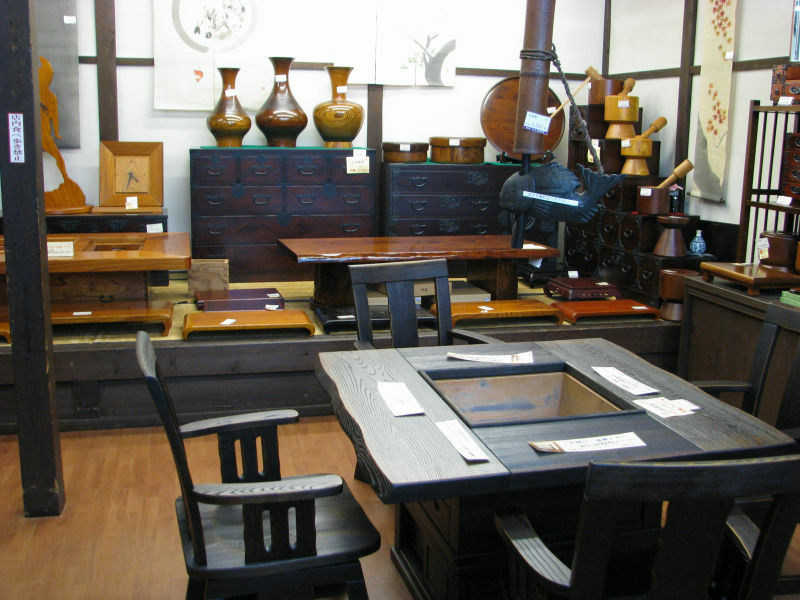 In addition to its fame for its carpentry, Takayama is well known for its lacquerware, pottery, and furniture. Shunkei lacquerware, coated with a transparent varnish called sukeurushi, was first made by Mokushou Takahashi Kizaemon and Nurishi Narita Mitsuemon in the 12th year of the Keicho Era (about 400 years ago) in the Kanamori period. 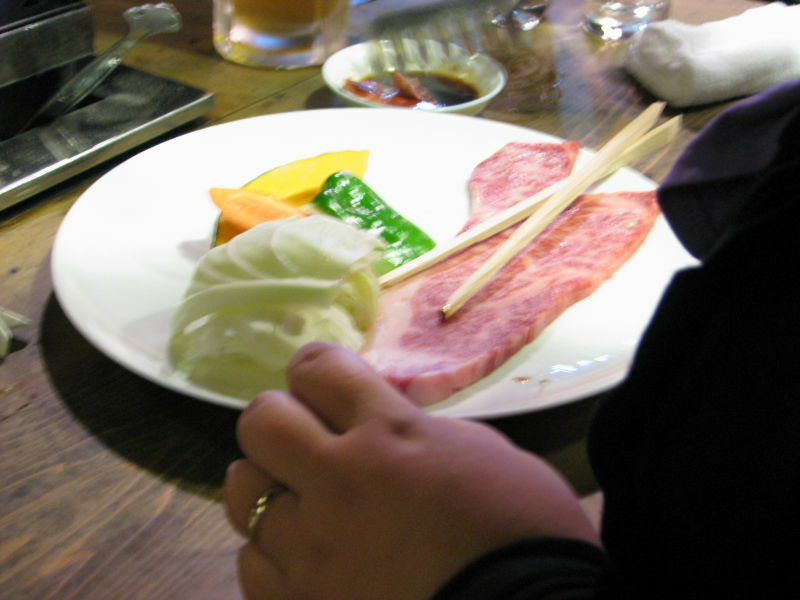 It is said that their first works were trays to be presented to the shogunate. Mount Norikura, a dormant volcano that is 3,026 meters (9,928 ft.) tall is located just east of Takayama. A bus takes visitors to a point near the summit. Shin-Hotaka Ropeway and Okuhida Spa Resort. There is a 3,200 meter ropeway offering great views of the Northern Alps. Old Private Houses. 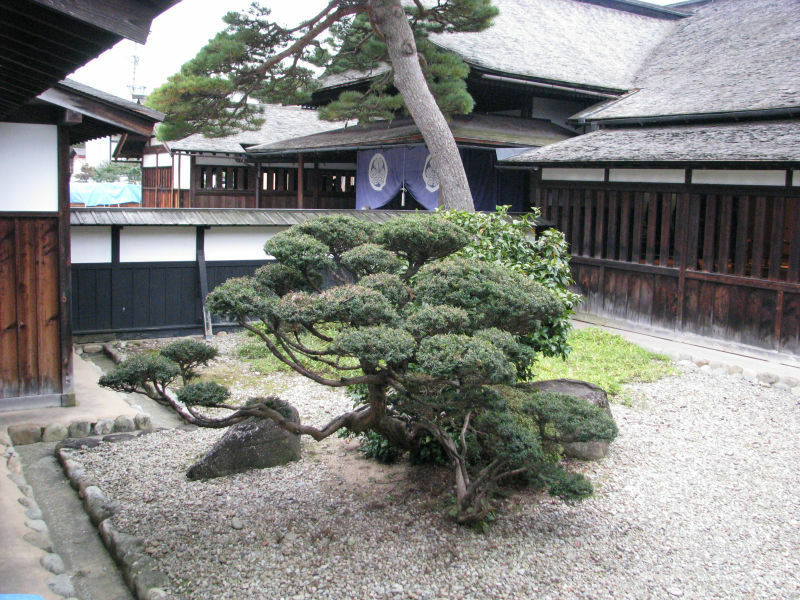 There are a variety of old homes in the heart of Takayama that are cultural artifacts. 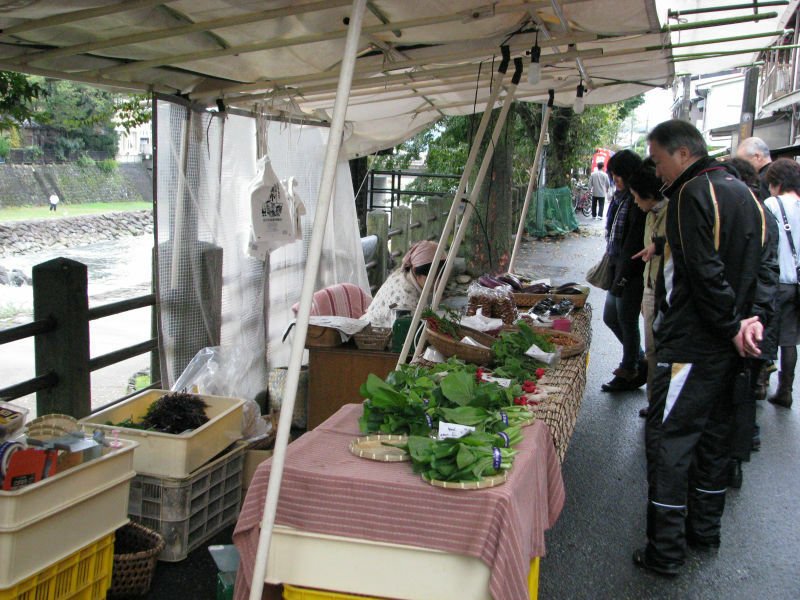 Takayama has a nice morning market near the river in the center of town. 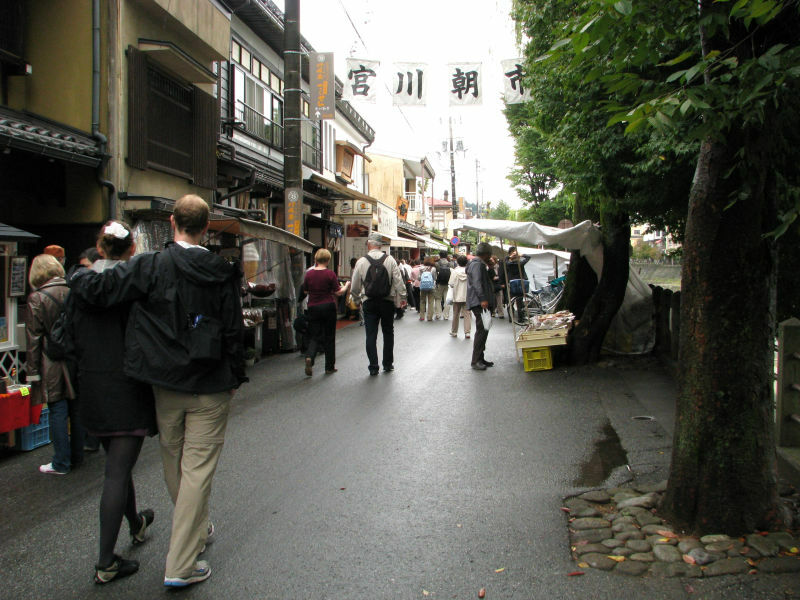 The Hida Minzoku Mura Folk Village folk village is also nearby. 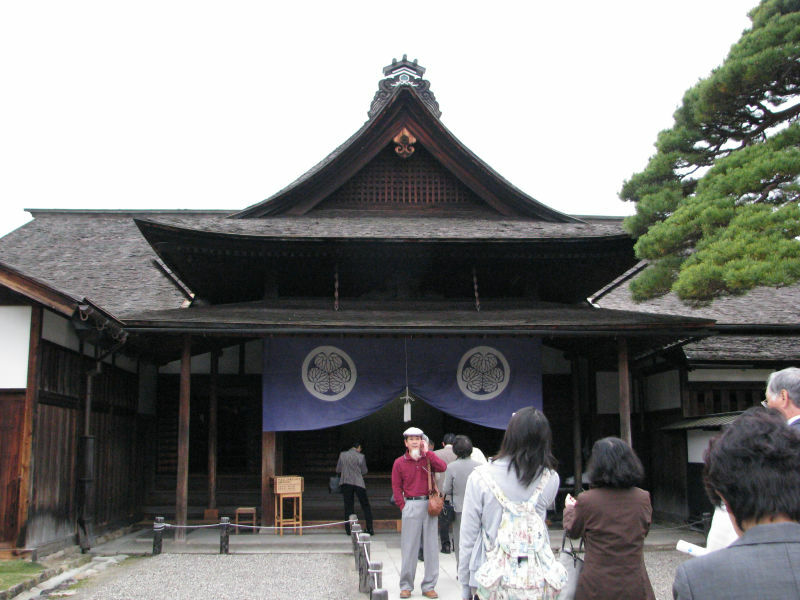 Takayama is the home of one of the three largest Shinto festivals in Japan. 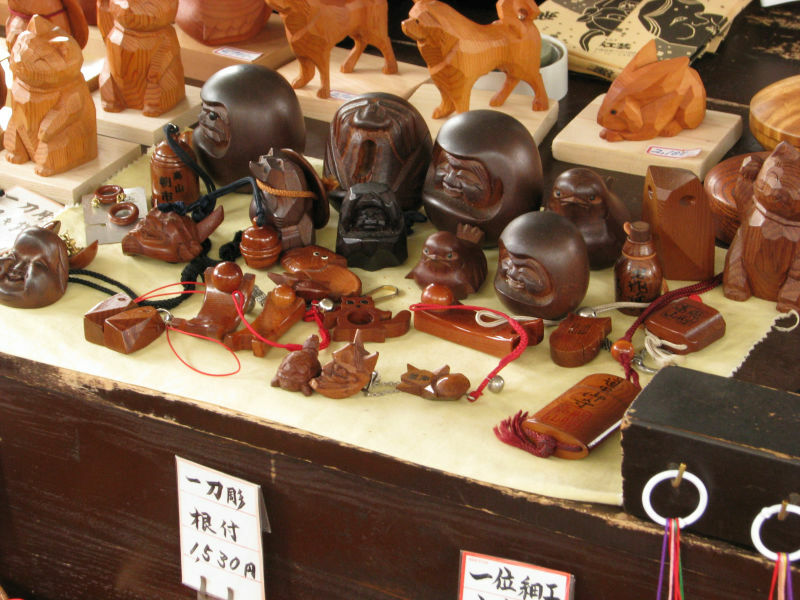 The Takayama Festivals are two distinctive festivals. 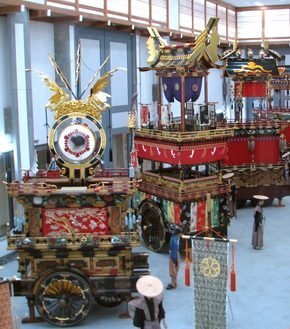 The Yatai (floats) used during the festivals can be found in the Takayama Yatai Kaikan (Takayama Festival Float Exhibition Hall). 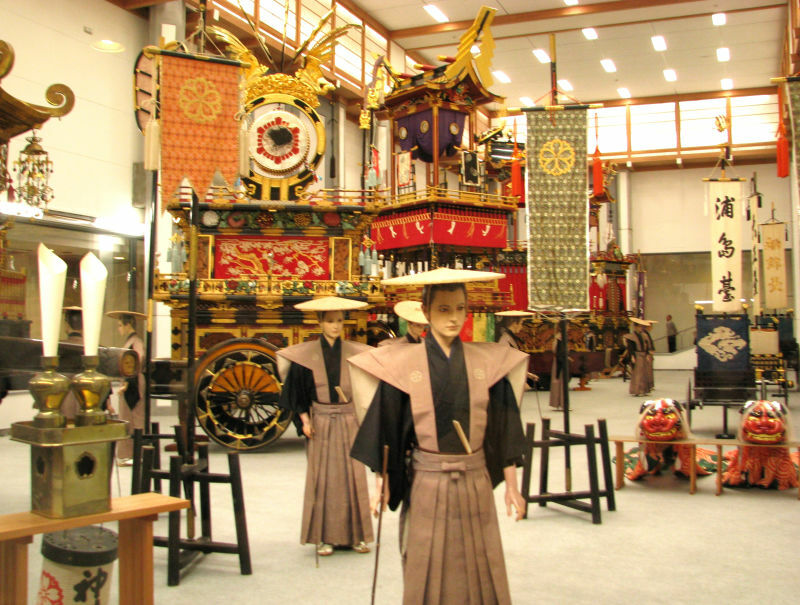 Nearby is the Sakurayama Nikko Kan, an exhibit of 1/10 scale replicas of Nikko's famous Toshogu shrine. Hida-Kokubunji Temple is the oldest structure in Takayama. 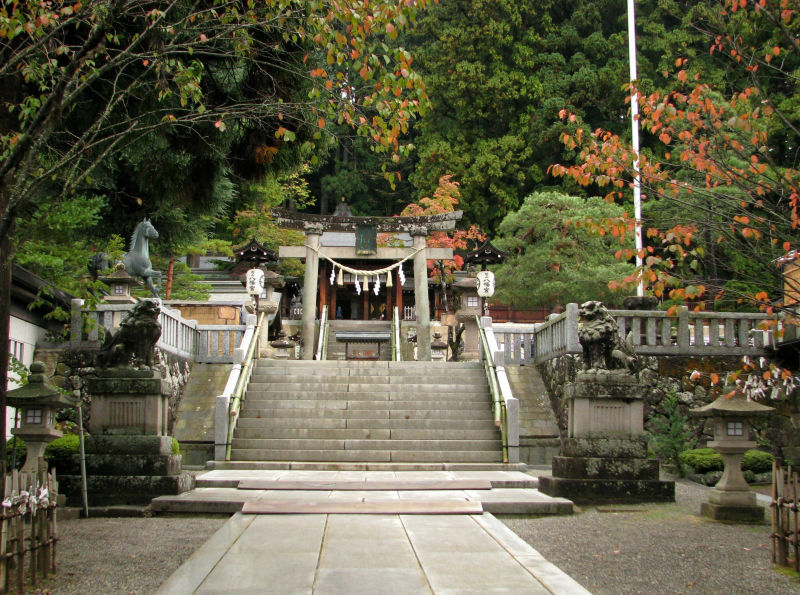 It has a 3-level pagoda and stands beside a ginkgo tree that is over 1,200 years old. The ruins of Matsukura Castle are located in the city. Yatai Kaikan - Festival floats exhibition hall. Takayama is famous it's festivals and they are considered one of the three most beautiful festivals in Japan.